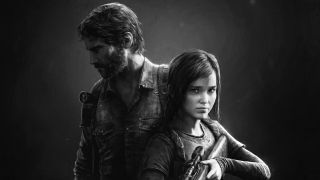 The Last of Us movie production is at a "standstill"
If you've been waiting anxiously for The Last of Us movie, it's definitely time to put a stack more change in your patience meter. In an interview with IGN, producer Sam Raimi has said that production has stalled entirely due to disagreements between Naughty Dog's Neil Druckmann who's written the script and Sony, who has the movie rights. "Yes, I'm attached to it," confirms Raimi. "I'm not too sure what that means. Right now it's just sitting there. They don't want to move forward, and it's not my place to say why, and Neil, I think, is in a slight disagreement with them about how things should go so there's a standstill. And I don't have the power to move it." Well this doesn't sound particularly positive. At least one Naughty Dog movie adaptation is doing alright. The Uncharted movie has Shawn Levy as a director and finally seems to be progressing nicely. Hopefully we'll get similar news on the Clicker-packed apocalypse soon.